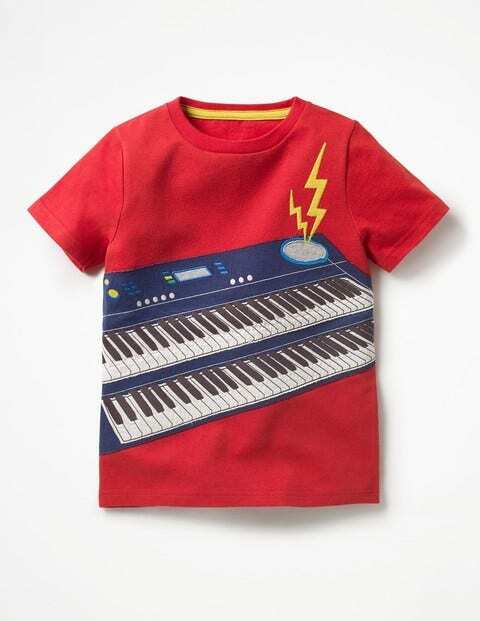 Just the ticket for little musicians, our T-shirts feature appliqué instruments and funky embroidery details. The smooth jersey fabric is 100% cotton and stays soft against skin wear after wear – now that's a performance. Just add jeans and get rocking!